I'm naturally quite pale and often get told I'm looking a little peaky. I'm also a big fan of wearing a high SPF on my face so I don't often exude a sun kissed glow. Over the years I've tried lots of bronzers to varying degrees of success. 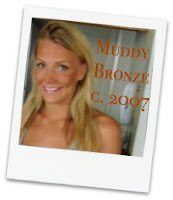 In my university days I piled on Benefit's Hoola bronzer to the point where I often looked like I needed a good wash. I probably did. I lived in a house with five other girls, and we shared a bathroom. Those were the days! 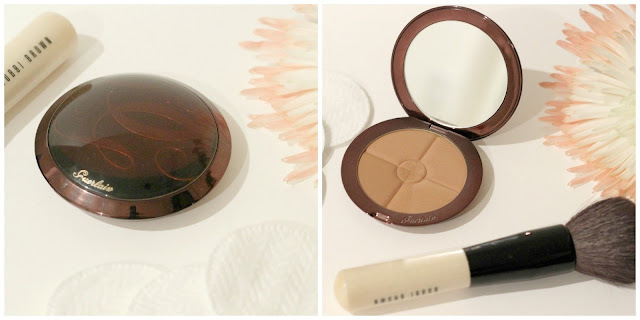 I've continued to experiment with bronzers and have found three firm favourites I'd like to share with you. I would absolutely recommend each and every one, and luckily there's an option for every budget. This little beauty has two shades so you can go for a subtle hint of colour or full on sun kissed splendour. This is the definitely the best affordable bronzer I've found. I don't love the packaging as it doesn't stay firmly closed and relies on a magnet to keep it shut. I managed to smash mine and as a result bronzed the contents of my makeup bag. However, the product is phenomenal so definitely check this bronzer out if you haven't already, it's a real winner. I really fell for this bronzer because of its simple matte finish. That sounds a little dull doesn't it? But it's anything but dull as it'll warm up sallow skin in the sweep of a brush without making you look overly dolled up. This is great for the day if you aren't looking for any glitter or sparkle. I also use Bobbi Brown's Bronzer brush. Oh my gosh, I have just googled the price of this stuff to add it to this post as I was given this bronzer as a gift. Yes, it's very pricey but it is absolutely beautiful. The packaging is stunning and feels very premium, it even came with a fancy little pouch. Ooh la la! It has four different shades, which can be mixed to create your perfect colour. The latest formula also contains SPF 10 to keep your precious skin protected. Did I mention it also contains pure gold?! No, I'm not joking. A gold star for Guerlain. Because it's always important to be able to laugh at yourself, I've dug out a photo from my university days where I clearly didn't know when to stop applying bronzer. I've hopefully come a long way since then! It's amazing isn't it, and such a bargain! I love Bobbi Brown's stuff!